Football Association chairman Greg Dyke believes Chelsea could play home matches at Wembley Stadium for three years while Stamford Bridge is being redeveloped. Chelsea would need to relocate for several seasons while converting their current home into a 60,000-capacity stadium. 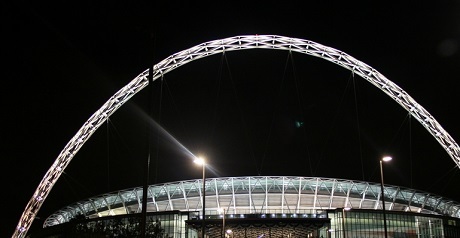 Dyke told Sky Sports News HQ that the FA were in advanced talks with Tottenham for them to use Wembley in 2017-18, and said he would welcome any deal with the Blues if they wanted to play at the national stadium. He said: “I think Chelsea might come for a longer period [than Spurs]. Dyke said hosting Chelsea and Tottenham games at Wembley would benefit all parties, and allow money to be pumped into FA projects. He said: “We thought we had a responsibility to English football, if we can fit them [the clubs] in.